Located on the riverside of the Rhone and just in front of the Hôtel-Dieu, the Guillotière terraces are very popular when summer comes. Large graded terraces offer a panoramic view over the river and the city. 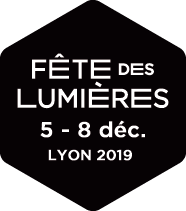 During the Fête des Lumières, quirky and poetical creations settle there, usually led by the Urban Community of the Grand Lyon which daily takes care of the area.